Note: At the momment standard homebrew applications can only be run on PSPs with either 1.50 or 2.60. (nothing in between). If you have 2.60 only way to run these apps is with the retail edition of GTA. (not a UMD rip) Also downgrading PSPs can only be downgraded from 2.00 to 1.50. (no other combos will work!) P.S. Don’t ask us how to find UMD rips. I have firmware 2.6 . I got the eloader to work. I put the snes9x super nintendo emulator on and actually got games to start working. my problem is that once i leave the emulator,the psp crashes and when i try to start the emulator again off of the gta eloader my psp will crash again and i will have to delete all of the games and then restart to get it to work again. Does anyone know how to use the snes9x emulator with the GTA eloader a little better than me? i could use some help with where to put the roms without crashing the emulator. please help! Is ther Anyway i can play homebrew games without having to get GTA for my psp or having to get v 1.5? Can yo downgrade your psp to v 1.5 if you have A V 2.6? I have version 1.60, I installed emulator Snes9x with GTA eloader and it work, when I press “Run” on snes9xTYL it works 1 time on 5 (it start or it crash). When it’s finally started, they wrote an error that they can’t load any roms. Then there is no rom found. I tried to put roms everywhere in PSP folders. i run threw the instructions and when i loaded the homebrew my psp just crashed so i had to reload it any sugestions please?? can u save the your progres on homebrew games with the gta eloader? I got a sega genesis/megadrive working on my psp but ive got no sound! help me!! i get through to the eloader screen, but nothing shows up when i do.It’s just the backround.What do i do? I’ve succesfully loaded the snes9x emulator for several times, but couldn’t load games, so i used the pspSEI tool to decorrupt the snes9x map. Now the emulator won’t even start. does anyone now how to fix this problem? I got my PSP 5 days ago with a 2.01 FW. Didn’t know and updated to v2.6. I been working on this to get the games to work. Been doing this for 2 days and finally got things to work. I do get errors and crashes until i got it to work correctly. Only time it crash on me is if I try to get the Sega Genesis to work. If anyone can tell me how to get Sega and where the roms go I could help on the SNES. Ruiz Have you try Eloader95 auto installer? It has the option for EU/EN/GER Not the HomeBrew beta 260 manual install. i have installed the eloader and the snes for gta lcs do i have to hav a gta umd for this to work or is the downloaded version of gta lcs all you require as i am having big problems where do i put the downloaded files. It will not work at all if you do not have the real GTA:LCS and also if your firmware is not v2.5-v2.6. with your Email not this link. I its spam to my email box lol. I have photos too if need to know where to drop it in maybe even make a basic one with needed eloader and stuff to get you going and follow picture to learn where the roms goes ok? Good Luck! Last night I also go the DGEN v.70/1.30/Sega Genesis and rom working there is bugs still and sound is choppy at some point. 1.) can i get homebrew soft to work on any psp version?? 2.) 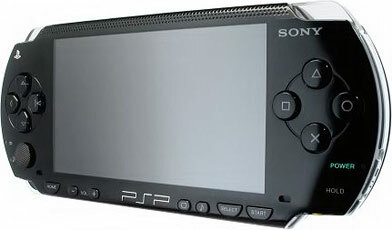 where can i find the programms and procedures for getting the most out of my psp..